1. 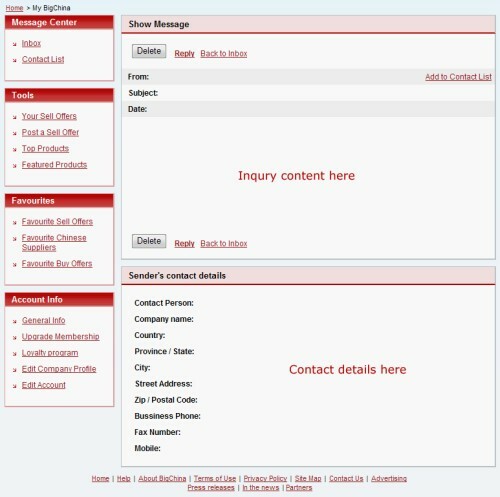 In “My BigChina” panel, we add a link under the name of buyer (check picture 1), click the link will turn to a page with buyer’s contact details, such as company name, telephone number, fax number, etc. (check picture 2). If you haven’t click the link above, but come to inquiry details page directly, take care, you’ll find buyer’s contact details too, just under inquiry details (check picture 3). 2. 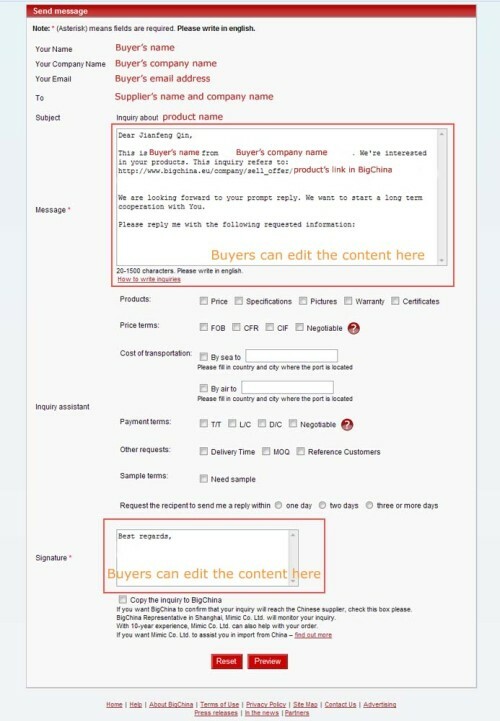 The main change of this improvement is the page “buyer send inquiry to supplier”. We try our best to offer better experience to buyer, and help them work more efficient. And at the same time, we believe it will bring more rewards to suppliers either. 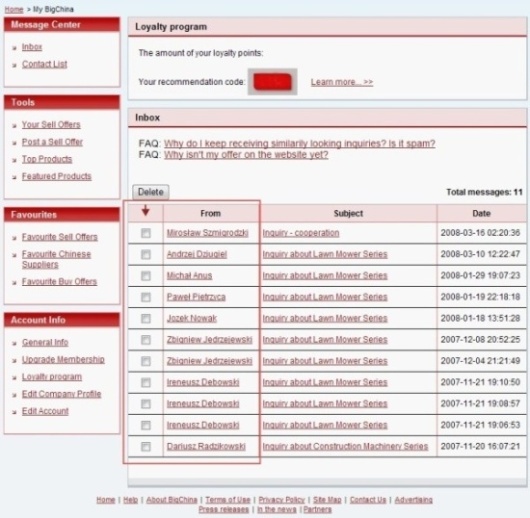 Because the language difference, we pre-set some options in the system, buyers can easily choose the information he need and suppliers will get what he should reply. The design will highly improve the work efficiency between buyer and supplier, but it will also lead a result that supplier may receive similar inquiries frequently. From the descriptions above, we sure suppliers will know the similar inquiries weren’t spasm, just because our system help buyers save lots of works. So, please, every supplier, give reply to the inquiry you got asap, buyers are waiting for your reply and want to purchase from you.